- Upon the expiry of 30 days, the renewal price for the Internet services costs: 15€ pro month! 4,25GB can be used in Europe Roaming: Germany, Greece, Hungary, Iceland, Ireland, Italy, Latvia, Liechtenstein, Lithuania, Luxembourg, Malta, Norway, the Netherlands, Poland, the United Kingdom of Great Britain and Northern Ireland, Portugal, Romania, Slovenia, Slovakia, Spain , Sweden, United Kingdom, Bulgaria, Cyprus, Croatia, Czech Republic, Denmark, Estonia, Finland, France. not need to make prisoners or sell the bike. We do not want to tie you to any offer nor force you to anything. You are free, our phones are free and can leave when you want to. It's that simple, we give you the best service and you stay because you want to. The Pay As You Go International SIM Lycamobile with over 15 million customers enjoying the Lycamobile brand and a new customer joining every 2 seconds. Lycamobile’s mission is to connect friends and family around the world. 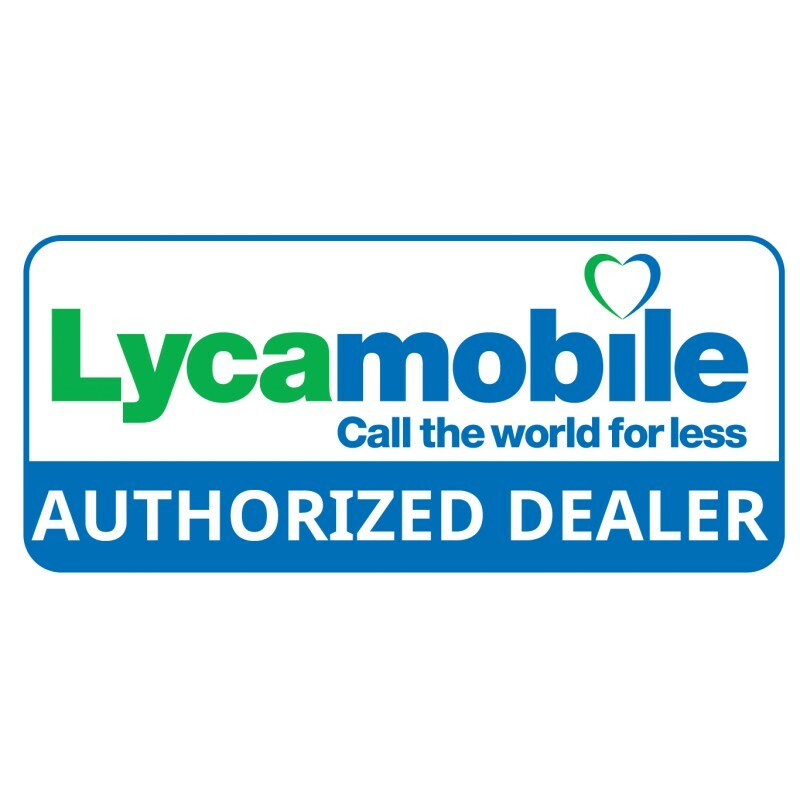 As the world’s biggest international mobile virtual network operator (MVNO), Lycamobile provides low-cost, high-quality data and voice services to over 15 million customers. It is now expanding to offer a broad range of financial and travel services, including Lycamoney and Lycafly, that help people stay in touch across borders. 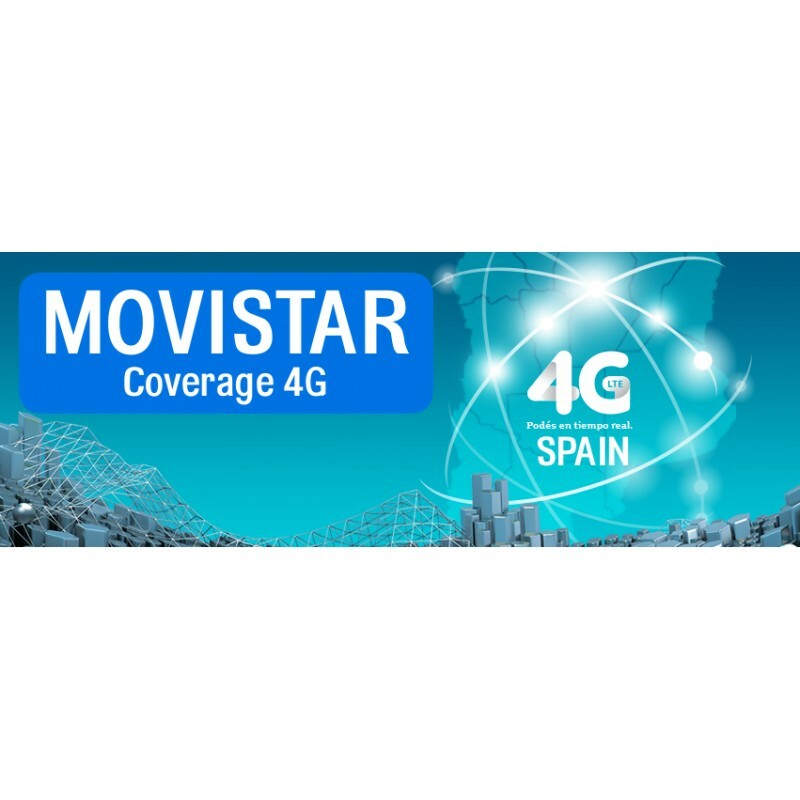 4G Internet will give you an opportunity to realize an instant search in network MOVISTAR and is able to keep the speed up to 80 Mb/s. 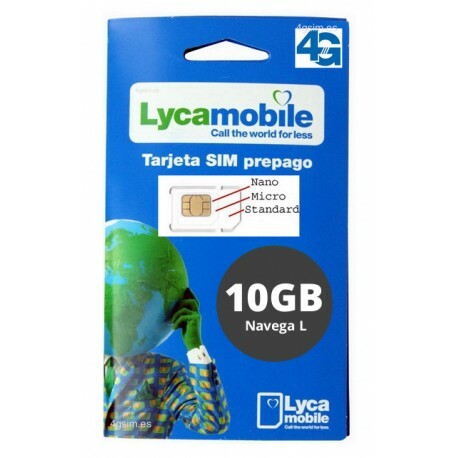 We use the MOVISTAR network, so do not worry, you can talk with Lycamobile and navigate where you want to. 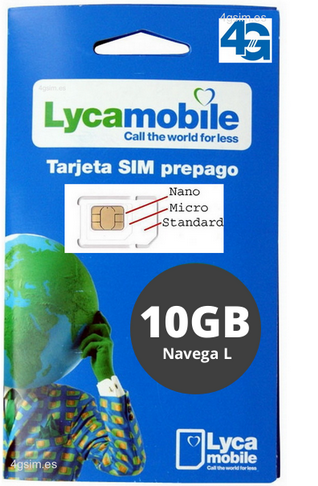 In Lycamobile use Movistar coverage, with whom you can talk and surf almost 99% of the national territory. 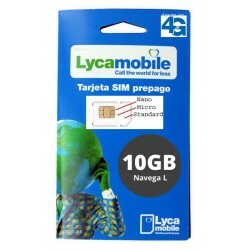 If you want to check just ask any friend who has Lycamobile / Movistar in your area or take a look at our coverage map. 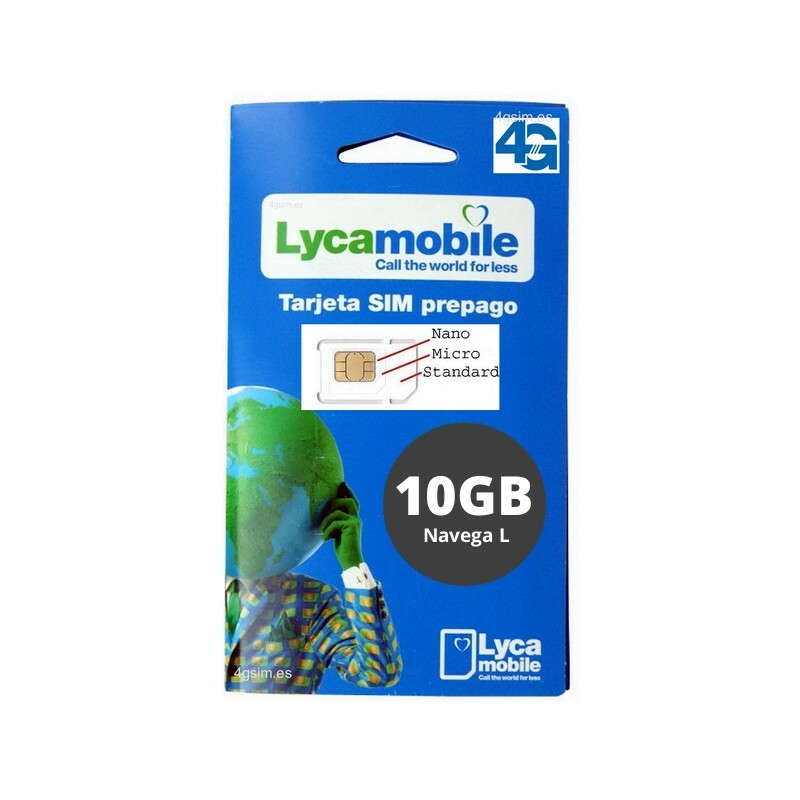 Lycamobile updated network to 4G + so your speed has almost no limits up to 300 Mbps in ideal conditions. In practice, the actual speed depends on multiple factors and often fluctuates at the margins indicated below. Download: from 8mb/s up to 50mb/s. Super Fast and instant 4G Internet. 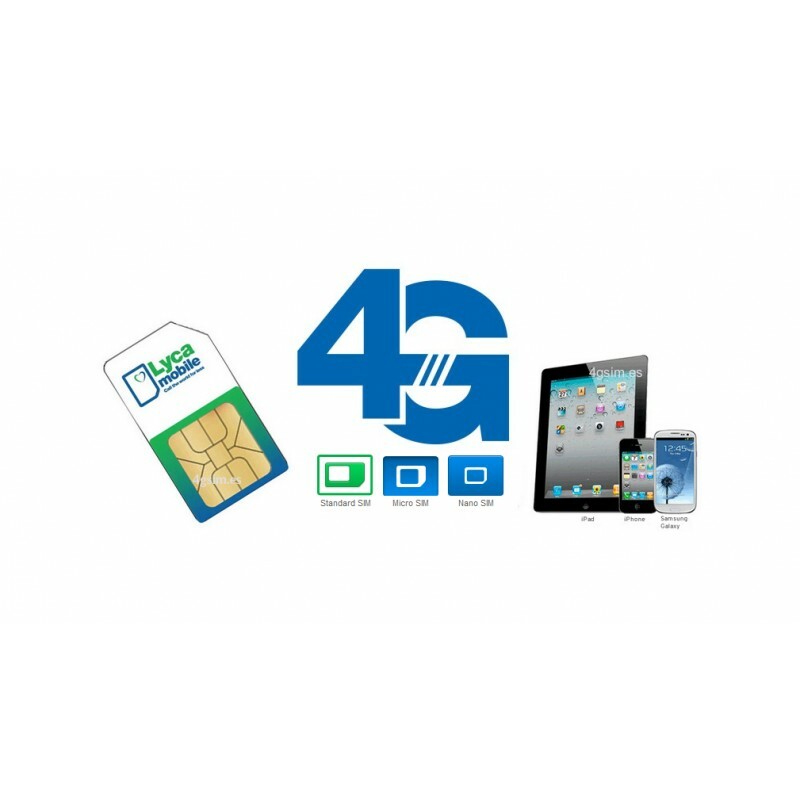 4G Internet provider guarantees you the secrecy of your personal data and has a high level of protection from any illegal access.